UTRECHT 26-09-2018 – TGN has gathered Taiwanese companies to take the opportunity of the StartupFest Health’18 conference to showcase their inventions for healthcare and a healthy lifestyle. With nine of them coming all the way over to Utrecht, it is the largest delegation from abroad participating at the Taiwan Innovation Pavillion. Amsalp BioMedical; Plasma based health products, medical devices, skin care products and hygiene products. Biotegy Corporation; Biotegy has special expertise on the design and development of biomaterials, medical implants, cell therapy procedures, and innovative medical devices. 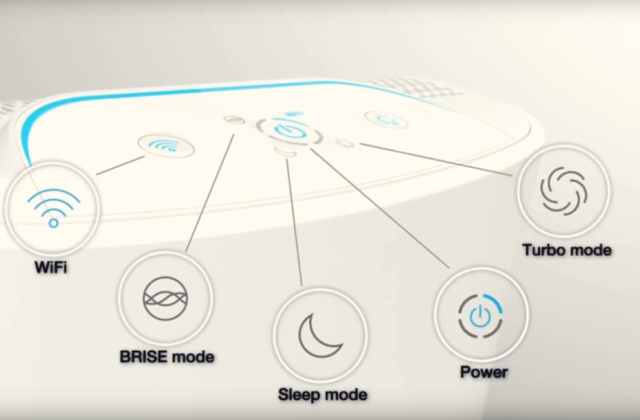 Brisecare; BRISE air purifier is an intelligent home health guardian providing personalized clean air environment for daily activities. QOCA; QOCA® home is a cloud-based solution designed to enable remote home care services primarily for the elderly, which would, in turn, empower the individuals to be better connected with care providers and families. U-GYM; U-GYM massager is a Pro-level muscle stimulator that enhances workouts & relaxes your body. Zoetek Inc.: Zoetek’s stock code is 7506 which is a company certified ISO 13485 medical devices quality management system. Zoetek is a startup company transferred key technologies of Medical Engineering Lab in NTUT and funded by the alumnus of NTUT. China Airlines; China Airlines is the largest airline and flag carrier of Taiwan. It is headquartered in Taoyuan International Airport and operates over 1400 flights weekly to 102 cities across the World. OurHub Europe; Ourhub Europe is an intelligent eCommerce platform for Brands, Merchants and Influencers to do business in Europe. Tiger Accelerator; the new accelerated soft-landing program launched by TGN, to accelerate internationalization of Taiwanese companies. Tiger Accelerator is operated from hubs in Taipei and Utrecht. V-Hub.org: The first virtual accelerator in Taiwan, which is dedicated to digitalizing the accelerator working process and tools to facilitate the Taiwan-European matchmaking. Register here for Taiwan Business Day 2018 on 2 October, or StartupFest Health on 3 October.